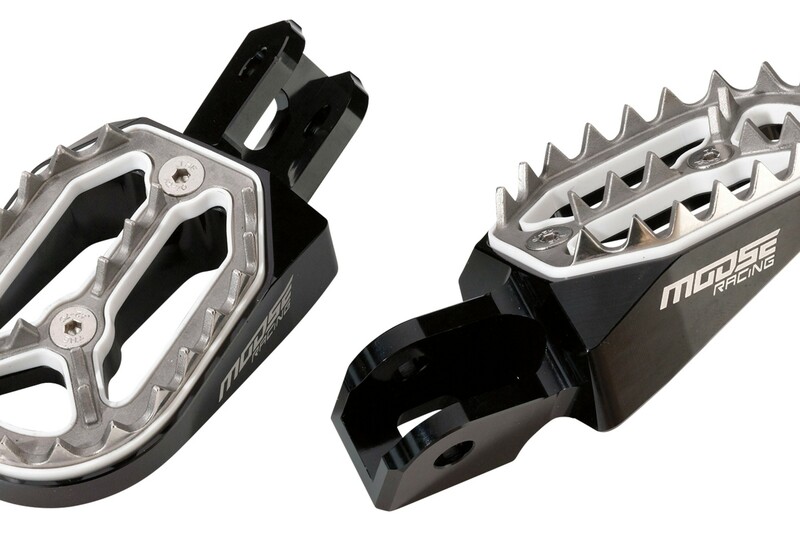 Janesville, WI—Save weight and improve grip with the two-piece design Moose Racing Qualifier footpegs. The CNC machined aluminum body of the Qualifier footpeg reduces weight while the stainless steel footplate provides excellent grip and durability. A rubber damper between the stainless steel footplate and aluminum body helps to reduce vibration and absorb impact. Want fresh footpeg teeth without having to buy a complete set of footpegs? Replacement stainless steel footplate kits are available. Qualifier footpeg suggested retail $102.95. Replacement footplate kit suggested retail $24.95. Visit www.mooseracing.com for more information and a complete listing of fitments.